Mario Benedetti is one of Uruguay’s most prolific writers. He excels in all literary forms: novels, short stories, poems, plays, essays, political articles, and songs. His seemingly inexhaustible creative power parallels his constant activity to improve the sociopolitical situation of his country and, by extension, all of Latin America; and his writing reflects the idiosyncrasies of the powerful Uruguayan middle class. Urban Uruguay and Class Coverage. Benedetti was born on September 14,1920, in Paso de los Toros, a small rural city in Tacuarembo, Uruguay. His parents were Breno Benedetti, the son of an established Italian grape grower and chemist, and Matilde Farrugia Benedetti, the daughter of a Spaniard and a French woman. The family moved to the capital, Montevideo, when Mario was four years old. This city, with its European style and aspirations, inspired Benedetti and helped shape his writing. As a young man, Benedetti foresaw the problems of the proud Uruguayan society. The economic structure of the country would not reach its financial crisis until 1955, but signs of the weakening system had appeared by the late 1930s, and Benedetti paid attention to those signs, portraying them in the weaknesses of his characters. He had found the topic he knew best: the world of the middle class to which he belonged. In 1956 he published Office Poems, a book that would change Uruguayan poetry with its unlikely focus on the office as a subject. This kind of poetry was not popular in Latin America in 1956, but the novelty and themes ensured its success. Office Poems also initiated Benedetti’s period of literary maturity and, with the three works that followed, made him the most-read Uruguayan author in the country and abroad. Important Social Commentary. By the end of the 1950s, more Uruguayans were becoming aware of the challenges faced by their country. Two events in 1959 made the year an important one for Benedetti and inspired in him a deeper interest in the political dimension of Uruguay, as well as of the rest of Latin America: the Cuban Revolution and his trip to the United States with a drama fellowship from the American Council of Education. The Cuban Revolution resulted in the overthrow of dictator Fulgencio Batista, who had himself overthrown the previous leader who had been elected by the Cuban people. The revolution showed Benedetti that Uruguay was not isolated from the rest of Latin America and that revolution was a new possibility for the solution of Uruguayan problems. The trip to the United States, besides allowing him to study great American theater, exposed him to poverty, social injustice, and racism in countries other than his own. His American experience is reflected in the poem ‘‘Birthday in Manhattan,’’ in Day to Day Poems (1961), and in the short story ‘‘The Rest Is Jungle,’’ in Montevideanos. Both works show the solitude of the protagonist. In the powerful United States, where different races and nationalities meet, the protagonist feels marginalized as a Latin American. During the 1960s, Benedetti traveled extensively. In 1966, 1967, and 1968, he stayed in Cuba for long periods, and his literature reflected the social experience of the Cuban Revolution. In the 1960s, Benedetti published several books, including the collection of short stories Death and Other Surprises (1968). Social Protest and Exile Writing In the 1970s, Benedetti began a more intense political and literary life. By the end of the 1960s Uruguay had fallen into a state of unrest that ultimately led to the coup d’etat of June 27, 1973. 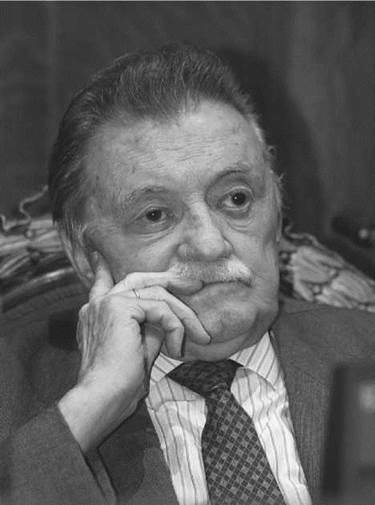 Benedetti not only opposed with his writing a government that was becoming more and more repressive, but he participated directly in Uruguayan political life. In 1971 he became the leader of a movement that united the left-leaning parties; his political speeches and articles that had appeared in the journal Marcha were compiled in Chronicles of’71 (1972). In 1971 Benedetti published Juan Angel’s Birthday, a work he defined as ‘‘a novel written in verse.’’ Juan Angel was his literary answer to the sociopolitical process of Uruguay, in which the long Uruguayan tradition of peace, order, and contentment was disrupted in a few years. Once Uruguayans awoke from the lethargy of being the ‘‘Switzerland of South America,’’ the country experienced in a very short time several different historical periods. Hence Benedetti in his novel synthesized in one day the entire life of a character as a symbol of that rapid process. Multiple Genres and More Protest After the coup d’etat of 1973, torture, death, exile, and censorship were the most powerful weapons the military regime used to attack those who opposed its ideology. In response, Benedetti joined the exodus of Uruguayan intellectuals, and his work and name were banished from the country. Benedetti lived in Argentina, Peru, and Cuba for some time, and then in Spain. The author subverted the punishment of exile by writing and publishing constantly, and his old works reached new readers when several of his earlier books were republished in Mexico. Benedetti’s work could not be read in Uruguay, but Uruguayan literature, thanks to Benedetti, was being read in other parts of the continent as well as in Europe and North America. Later living alternately in Madrid and Montevideo, Benedetti has succeeded in showing the world a new, more complex, and contemporary image of Latin America in general and Uruguay in particular. Benedetti continues to strengthen the literary and cultural link between Uruguay and Spain, clearly aware of the importance of keeping alive this interest. Julie Andrews (1935—): English performer of several decades who has won multiple awards for her work in popular musicals. Jean Anouilh (1910-1987): Prolific French playwright whose works range from absurdist to high drama. Paul Celan (1920-1970): Jewish poet and writer who won several esteemed awards for his works on the Holocaust. Carlos Saavedra Lamas (1878-1959): Distinguished Argentinean law professor and political leader who received the Nobel Peace Prize in 1936. Carlos Santana (1947—): Mexican rock guitarist and leader of the band Santana. Urban Characters and Concerns. Benedetti transformed historical, social, personal, and collective events into literature. Defining himself as one of the Montevideanos, his early work is essentially urban. In a country where half of the population lives in a single city, it would seem difficult not to be urban. Yet, until the end of the 1930s, Uruguayan literature had been primarily rural. Uruguayan novelist Juan Carlos Onetti complained in 1939 that Montevideo did not exist because writers did not re-create the city in their work. The prestige of gaucho and, later on, Creole literature, in which gauchos and rural men were observed with nostalgia, had kept the national literature and subject matter essentially rural in character. But through the first decade Benedetti infused his writing with the social and political concerns of the Uruguayan urban sector, and by the late 1950s he had expanded his focus on setting as well as class. By the time of his 1959 Montevideanos, he had enlarged the social sector of his characters from the bureaucracy to the entire middle class—at all of its economic and social levels. He had succeeded in interpreting and representing the Uruguayan urban sector through an increasing understanding of his people and a strong command of narrative techniques. Mediocrity and Bureaucracy. In the 1950s, Benedetti was working on mastering the narrative techniques of William Faulkner, Virginia Woolf, and James Joyce—narrating works such as Who of Us according to the different perspectives of the characters and using devices such as the stream-of-consciousness and interior monologue of This Morning to develop those characters. His people are common people whose stories are, or may be, everybody’s stories. His structure is simple and clear. He had by the end of the 1950s developed a coherent and mature style. In all his mature works, there are running themes. There is a moral and humane criticism of individuals who are motivated by mediocre goals, by envy, by inertia, or by tediousness. Benedetti showed empathy for these individuals but at the same time separated himself from them—whether they were the bosses or the subordinates who envy and loathe their bosses but want to become them, the ho-hum characters who dream of a salary raise that never materializes or the worthless bureaucrats who trap public employees in a maze of papers and endless meetings. Early on, Benedetti concerned his writings with themes of destroyed love, fate, and death, and of time as a powerful force human beings cannot hope to overcome. Before later themes of political oppression in his fiction came the themes of a kind of oppression not seen before in poetry: the oppression of life (or lack of life) for the middle- or working class. Before Office Poems, for example, such subjects had been considered antipoetic, since there was nothing interesting in the monotonous routine of an office. Nevertheless, numbers, balances, inventories, accounts, salaries, budgets, ink stains, calendars, and telephone calls became the new language of poetry, and Benedetti’s work was a success. Like his early narratives, Office Poems interprets the bureaucratic middle class that almost completely constituted Montevideo. The style is direct and colloquial and the tone is realistic. Exile. Benedetti’s writing in exile had the further important function of informing the rest of the world of what was happening in his country, a painful personal and collective experience. This latter work is characterized by its hybrid nature. Testimonial writing is linked with fiction. Poetry and prose are strongly united—the poems as long epigraphs contain the essence of the stories that follow them. Contemporary literature is characterized by the removal of the traditional generic borders. These equally important ‘‘experimental’’ writings show that not only the subject of exile but the experience itself are such complex realities that their transformation into literature overflows the traditional divisions of genres. Madame Bovary (1856), by Gustave Flaubert. Emma Bovary, the title character, has a series of affairs to escape the boredom of her life as a doctor's wife. ''The Secret Life of Walter Mitty'' (1939), a short story by James Thurber. Walter Mitty is a mild-mannered man who escapes from his life into a vibrant daydream world. ''The Swimmer'' (1964), a short story by John Cheever. Cheever's famous short story concerns a suburban man who, while swimming in the various pools in his community, comes to see his life as empty and cold. Benedetti has been called the most representative author of the “Generation of 1945,’’ or ‘‘the critical generation.’’ These terms, unanimously accepted by critics, identify a group of writers who by 1945 were using literature as one of the ways to show the inherent contradictions of reality. Literature by these writers, especially the narrative form, came to be written in an objective and realistic mode. Thus the close relationship between Benedetti’s literature and exterior reality, or contemporary history, could be viewed as weakening the poetic value of his work. Some critics have tended to classify his work as ‘‘committed’’ literature. But his works—even those of the 1970s, which clearly show his political preoccupations—are not primarily ‘‘preachy’’ in intent. Evidence of this is in the critical regard for several of Benedetti’s works, including The Country with the Straw Tail (1960) and Blood Pact and Other Stories (1997). The Country with the Straw Tail. The Country with the Straw Tail has the same function as The Truce: to show the moral crisis Uruguay was suffering. Unlike The Truce, however, which received positive critical response backed by a strong popular reception for all its versions, The Country was not well received. In the novel The Truce, Benedetti had not developed the political crisis, but in the essays of The Country, he wrote directly about the corruption of the political parties. Here Benedetti did not pretend to assume the role of a political scientist or sociologist. In the prologue to the first edition, in fact, he acknowledged his limitations. As a result, critics reacted negatively to the essays. Uruguayan readers, however, found in them an expression of their feelings and thoughts, and the book became a best seller. 1. To get a better understanding of the localist nature of Benedetti’s writing, conduct group research on Uruguay and its capital city Montevideo. Consider its population, geography, and history, and look for parallels between what you find and Benedetti’s early work. 2. Class distinctions are an important part of Uruguay’s history and a major feature in many of Benedetti’s works. Find an example of a historical event where two classes were in opposition, such as the French Revolution. What are the characteristics of each class? What is the core argument? Which ‘‘side’’ do you see more clearly represented in Benedetti’s writing? 3. Put Benedetti in the larger context of Uruguayan literature. What literary movements were significant to this culture? What other writers are included in his time, area, and genres? What kinds of literature existed and which were most valued? How is Benedetti considered one of the most popular Uruguayan writers? 4. Benedetti lived and wrote in a most revolutionary time for Uruguay. But the country has a history of unrest that reaches much further back than the coup d’etat of 1973. Research political unrest in Uruguay during the coup, and consider the ways in which those earlier periods have been reported. Were the times chronicled by literary figures? Were the newspaper circuits the sole method for communicating events? Is there currently any evidence of journals, underground papers, or other writings that reveal the history as Benedetti and his fellows revealed the conditions in the 1970s? Hayden, Rose Lee. An Existential Focus on Some Novels of the River Plate. East Lansing, Mich.: Latin-American Studies Center, 1973. Rodriguez Monegal, Emir. ‘‘Las ficciones de un testigo implicado: Mario Benedetti.’’ In Narradores de esta America. Montevideo, Uruguay: Arca, 1961, pp. 209-55. Bach, Caleb. Interview with Mario Benedetti. Americas (August 1998): 38. Polk, James. Review of Blood Pact and Other Stories. New York Times Book Review (August 17, 1997): 16. Zeitz, Eileen M. ‘‘Entrevista a Mario Benedetti.’’ In Hispania (May 1980): vol. 63: 417-19. Video: No te salves—Mario Benedetti—Corazon Coraza. Retrieved February 24, 2008, from http://www.youtube.com/watch?v=43JkLiPegBA. Added on November 6, 2006. Video: Response to Mario Benedetti’s No te salves: Conciliar el Sueno. Retrieved February 24, from http://www.youtube.com/watch?v=2cK5266ayT0. Added on May 17, 2007.